In addition to the other challenges that startups are faced with, developing an effective SEO strategy can be a daunting task. However, it is important to note that Search Engine Optimization has become a key part of any startup’s online strategy and it can have a significant impact on the success of your business. If seriously want to achieve meaningful success online, being smart about your business SEO campaign is what you should be thinking about. So how do you kick start your campaign and how do you make it effective for the long term. Many SEO Agencies and start-ups ignore on-page optimization, which is the most important SEO factor. Forgetting about the on-page optimization of your site will put you at a major disadvantage from the word go. Without on-page optimization, you might not achieve the required results from social media optimization and link building. There are many aspects of any website that you should consider in order to make your site search engine friendly. These include website accessibility, XML sitemaps and keyword research, to name but a few. Your startup should have a powerful social media presence from the start and a well developed social media campaign that can inspire the growth of your business while giving a SEO advantage. Every like, comment, mention, share or retweet, is called a social signal and every signal is a crucial part of a effective SEO strategy. You might not have the money to hire a committed social media agency or manager, but that doesn’t mean you social media presence should be ignored. No matter what field you are in, you will be missing out if you are not on the leading social medial sites such as Facebook, Twitter, LinkedIn and the rest. For a small budget, you can create a massive social media fanbase to help generate traffic to your website. In addition, social media will help boost your website ranking because social signals are utilized by the search engine algorithms. Also Read: How is Google Plus Good for SEO? Any start-up owner should start a blog on their business website and it needs to be updated with fresh content on a regular basis. A easy way to get original content for your blog is to outsource it to people within the company. In the beginning, you should have one of your employees administering the blog and assign writing projects throughout the organization. Blogging is extremely powerful. It is the leading revenue generating avenue for many online businesses and you cannot afford to neglect it. While you cannot expect wonders within a short period of time, your blog will be kicking within a year if you are posting quality content. In order to get your online blog started, you need to write fresh content and promote your posts effectively. It is actually very important to monitor the promoting aspect because your content will have a significant impact on the success of your business. Once you have done that, you need to spend some money on the website design in order to make it look impressive. You should stand out since most competitors will tend to neglect that aspect. That’s why it is important to set yourself apart from the competition. Search for blogs that are most likely to provide out business with traffic and exposure and then write blog posts for them. In addition, you can spread out your blog posts at first. With attractive posts, you will soon realize that your blog will start generating more traffic to your website compared to the main site. In order to start a blog, you need to focus a considerable portion of your time on creating unique blog posts that can draw the attention of your visitors. Have a competition that rewards those who write the most posts and also reward those who write the posts that helps drive the most online traffic to your main site. This kind of contest can generate the desired results for your startup. While SEO is expected to change significantly in the future, by leveraging your long-term strategies, you will be able to achieve top search engine results for a long time to come. Bernard Naylor is a Passionate Blogger and Writer. He likes blogging about Home & Garden, Health & Fitness, Online strategies that are related to SEO, Content, PPC & Lead generation. You really point out some important SEO strategy for a Start-up. I specially like to recommend Social Media Presence that will help to build a brand within a short period of time. As well as, you can also get huge traffic form social media. Anyway, Thanks for nice sharing. Thanks for your appreciation and dropping your comment here. Social Media presence is very important for every blogger and affiliate marketer. Yes i agree with you, we can get more traffic from social networks. Stumbleupon and Google+ is the best social network according to me. It is very wise to follow an effective SEO strateg from the very beginning to make the search engines fully notice your each post and take it to the top position once you stabilize your blog after awhile. The tips you mentioned here are quite practical and does not require any hardly acquired skills. Just a little understanding is sufficient to follow them quite easily. Search Engine Optimization is the major way to get free traffic to the blog. The other ways to get traffic is, comment on other blogs, sharing the post to social networks, ask friends to share our blog post, using bots, traffic exchange software’s etc… but this things might not work properly. SEO is the best way to get traffic without any hurdles. Anyway thanks for dropping your comment here. Keep coming my friend. I need your support for effective blog updates. Hi Local listing its helpful for SEO Back links ? Hope you doing fine. You have selected a very nice topic to share your views and it is written very well too. 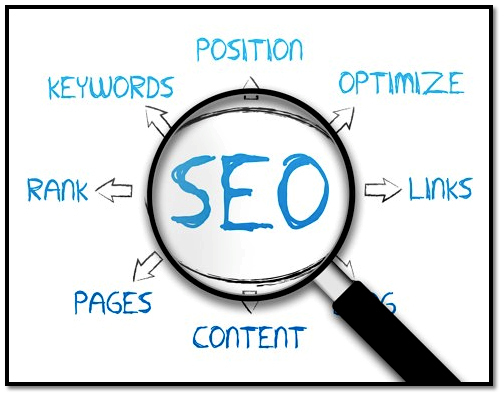 SEO is very important part in any marketing field. If your business is online then SEO is the most important part of it. All the above mentioned points seems to be effective. Doing SEO of your website and getting success is not a one day process, it needs some extra efforts and your time and patience. So to get your website optimized you have to do a lot of long haul. Thanks for sharing this wonderful and helpful post with us. Keep the good work up. But SEO is the best and easy methods to get regular flow of traffic. It takes time for every post we updating, but we will get good results. Anyway thanks for sharing your thoughts here. SEO strategy for a startup is important to business. You don’t need a big budget to promote your website on social media. All you need is a unique keyword that customers can easily find it and with a great content. At first, you will struggle with this kind of business, everybody will struggle at first. Great list of SEO strategies for startups. Thanks for sharing all information with us and I am completely agree with you that without On page SEO we are in big loss. On page is the most important part to rank site higher on any search engine. Without On page SEO we can’t make our site readable, relevance and search engine friendly. Excellent information and thank you for taking the time to share with us. Amazing insight you have on this, it’s nice to find a website that details so much information about SEO that also from starting. Cheers!! I think the purpose of optimization is to reach top position in search results for a particular keyword. And the purpose of web page optimization is to explain to everybody, including search engines, what the page is all about. In fact, On-page SEO is not a rocket science; in fact, it is very easy to implement and it helps you to rank your website high in search engine optimization. The things you covered through the post are quiet impressive. Thanks for such a nice post, its really informative. My point is every one is putting effort to reach at the top position in search engine from targeted keyword. You will agree with me that big companies have big budget to implement seo where as startups are tight on budget so therefore it is nearly impossible to compete with big boys in SEO. Thanks for sharing such a informative post this is so helpful for me. and I really bookmarked this page. Thanks for sharing knowledge about Search engine optimization, it will really help all the beginners. Working with SEO can help you strength your brand and boost visibility.